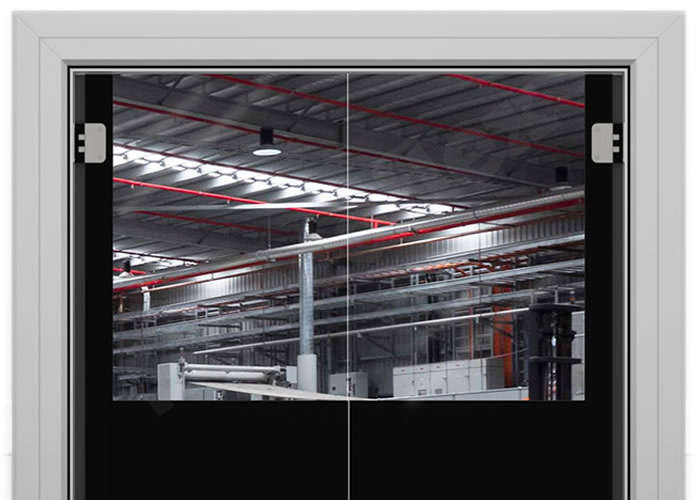 Manufactured from robust Bayer® Polycarbonate and ABS, our polycarbonate swing door provides a combination of performance and vision for all applications. 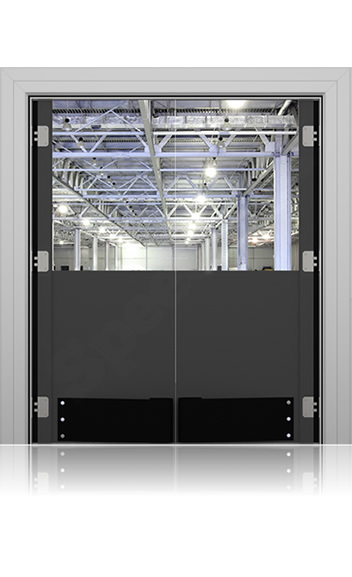 Our Polycarbonate swing door is lightweight and semi rigid door capable of high performance in a wide range of applications. Each door can be manufactured to swing 270° or 90° with auto-close or hold-open options and available in sizes up to 2500mm(w) x 3000mm(h). Manufactured from a single sheet of polycarbonate and faced with heard wearing engineering grade plastic guarantees high performance. All doors include full width upper vision areas masked with lower dual covered faces. Our Polycarbonate traffic doors are manufactured from a single piece of optically clear polycarbonate material which contain no material joins. The large upper part of each leaf provides unparalleled amounts of vision and allows light to pass through both sides of the doorway while in a closed position.